Laying Rem down on the bed, Subaru pulled the quilts up over her chest. The beating of her heart, and the rise and fall of her chest as she breathed, gave testament to the fact that she still lives. Until the day her eyes open again, he wondered just how much time she would spend here. Turning his feelings into a new vow, Subaru gently brushed away Rem’s hair resting on her brow, and then, he turned around to face Emilia, who had been standing silently behind him. It was a bit disconcerting how genuinely she seemed to be praising him. Emilia, her expression purely innocent, tilted her head and looked at Subaru, who was frowning. He replied with a wry smile, and shrugged his shoulders. Reaching into her shirt, Emilia pulled out the green crystal stone. Fit in a pendant, the stone was faintly glowing. Within, a bewitching light swirled where the Great Spirit resided. It was the link that sealed the contract between Emilia and Puck, and Subaru, having seen his materialized form going in and out of that crystal almost daily, knew this as well. Only, as one could deduce from their conversation, there has been no hint of him within the crystal stone these past few days. He was gone ——It was hard to believe, but he wasn’t responding to their calls. Hearing Emilia’s apologetic words, Subaru scratched his head, saying, [That’s…]. He couldn’t hide his disappointment at the fact that Puck, who was aware of everything, would choose to remain silent. With this, all the important figures he could have relied upon for help with his doubts, had all gone silent at once. Subaru, resting his hand on his forehead, was in deep thought when Emilia asked him for his decision. He cast down his eyes at her call. Seeing the reliance and trust that dwelt within her gaze, he despised himself for feeling so happy at a time such as this. Realizing that she was relying on him, out of that trapped, stifling feeling, he understood what he must do. Seeing Emilia’s grasp of the situation, Subaru nodded his head. Since she recognized his train of thought, she was probably thinking the same thing as well. Emilia placed a hand over her chest, and seemed relieved that their opinions aligned. Subaru placed a hand to his chest in respectful subservience. Seeing this, Emilia closed one of her eyes saying “Since you said it so nicely”, pursing up her lips and looking back at him. Then, taking a moment to let out a deep breath, Emilia stared directly into Subaru’s dark pupils. It was the name of a place he had heard countless times at the Roswaal Mansion. Subaru had unfortunately never been able to find out where it was, but the evacuees led by Ram had headed there to avoid the Witch Cult. At the very least, now that the sect of the Witch Cult led by Betelgeuse had been annihilated, the threat level at the “Sanctuary” should be no more than that of the mansion. Holding his hand up in front of him at Emilia’s enthusiastic words, Subaru put a damper on her decisive declaration. But even so, Subaru had to say it. Hearing Subaru’s ardent, relentless words, Emilia’s eyes widened. But they were unmistakably his true thoughts. Subaru was going to stay with Emilia. If he wasn’t with her, he couldn’t protect her. He couldn’t do anything for her. There was no pretense to his feelings, it was simply that his existence was necessary to help her. It had nothing to do with him wanting something in return, it was simply what he wanted to do. Emilia’s expression still showed her astonishment at the forcefulness of Subaru’s words. Deciding that now would be the best time to throw her off balance, he continued. Subaru, still half-way down on the floor and about ready to grovel and plead, asked Emilia this question. Seeing his display, Emilia placed a hand against her lips, her face reddening ever so slightly. Covering his face in his hands, Subaru spoke teasingly to Emilia. [Eh? Eh?? What do you mean? ], unable to read the intention behind his words, Emilia fumbled for a reply. Seeing her so confused, he almost wanted to rub it in her face. After all Subaru had just went though at her hands, he’s savoring every last bit of it. Their exchange, which must have looked like two people flirting, was tragically interrupted by a knock on the door followed by Frederica’s entrance. Emilia wasn’t surprised by her arrival, but Subaru, trying hard to conceal the thumping of his heart, couldn’t help but glare at her. Even though Frederica must have easily seen through Subaru’s feelings, not a hint of it appeared in her calm, but still vicious-looking expression. Subaru widened his eyes at the unexpected proposition. His response received a [Why, yes] from Frederica, who continued as though it were obvious. At Frederica’s dire warnings, Emilia tightened her jaw, the look in her eyes carried her strength of will. To show he respected her decision, Subaru moved to stand beside her. Exasperation and admiration flashed through Frederica’s eyes at the same time, then, blinking once, she pushed down her sentiment, and held up a finger. Subaru and Emilia’s heads tilted at the same time. Seeing this, Frederica nodded with a [Yes], dropping her voice ever so slightly. Tynkerd is down with a cold and I’m still catching up my assignments. But after October 25th we should be back to full speed! Here’s Son Wukong’s livesteam reading of Chapter 4! The live reaction for Chapter 5 should be next Sunday, so come and chat! I’ll try to come to these streams as long as I have time! Praise the holy chicken and his team of translating angels! Yup I imagine Garfiel is a great spirit that resembles a cat. Maybe something like the cheshire cat on Alice in Wonderland. Keep up the amazing work Team Chicken! There’s no room for little chicks in evil chicken cult! i read that last part as the witch. Thanks again ya’ll :-D. Can’t wait to get to the Sanctuary. is it just me or everytime i see the word “tilted” – usually head – i imagine subaru’s breaking neck experience as betelgeuse? Thanks for translating it evil chicken cult! Wow, Garfiel was teleported as well? And became a man? That cat must be confused as hell. The “flirting” between these two makes me recall the good’ol days, awww, the sweet cringe. Anyways nice translation you got here, bois, I’ll always wait for you all so no worries, take your time. Roswaal is definitely suspicious. However I can’t make heads or tails about his character. He’s surely one of the many characters who’s probably in the know how, especially when it comes to the Witch’s Cult. But in despite of this fact, he has pretty much done nothing thus far. In fact in previous iterations, Roswaal had practically left the villagers,Ram, and Emilia to die. It’s rather that Roswaal is just screwing about or he is genuinely doing something to aid the current situation. I not sure whether or not Roswaal knows about Return by Death but it could make some sense if he did, I suppose. But at the same time It would make less sense. If he did know, he’d probably figured that things will work by themselves, by which I mean through Subaru’s earnest efforts and attempts to make it work out. However aren’t all the loops where Subaru failed still existing? What would Roswaal have done then? He would now exists in a loop where Subaru failed to save Emilia. This is all conjecture based on the fact that loops run on parallel planes, so no point going down this line of thought. So I wouldn’t think he would simply let Emilia die, especially if it’s at the expense of furthering his own goals. It is more like he did everything as not to do ANYTHING lol. My guess about Roswall is that he (and probably some other characters, like Beako) are aware of some situation or plan that involves Subaru and his power. If he isn’t a bad guy (and I don’t think he is), his actions (leaving Emilia behind + telling Rem to do whatever Subaru asks) imply that he is aware of Subaru’s power. Thanks to Lord Chicken and Ser Tynkerd. I hope you get well soon Ser Tynkerd. 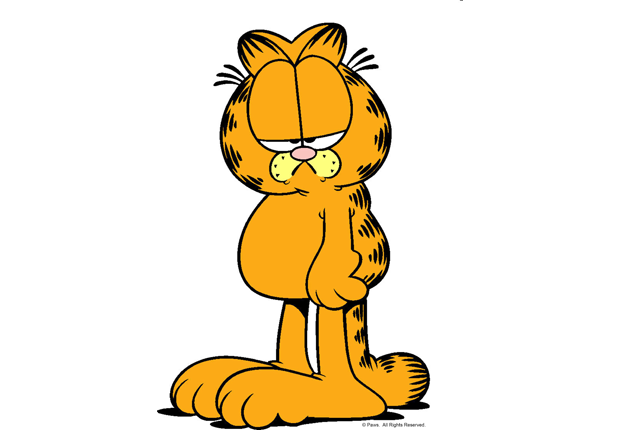 Well I’m curious to know more about this Sanctuary and Garfield, Hehe. Top work all of you. Thank you Tynkerd and Chicken! I giggled like a little girl when Emilia began to flirt back with Barusu. Get well Tynkerd! And good luck on your studies Chicken! Fredrica….you just had to trigger that flag?! Get well soon brah. Thanks for another chapter. do you mean “burning”? if not, what does that mean? is mouth agape, Emilia’s face clouded over with uncertainty at his stillness. what do you mean by agape? I’m happy that now the story continues. after 3 chapters of small talk they finally decided to go to the sanctuary. can’t wait to see what happened to roswall. Thanks! I fixed the burning typo! And “agape” is a real word! It means mouth wide-open. It was from Tynkerd’s draft and I thought it was pretty funny. It’s been 3 parts and I haven’t posted a comment. How could I have forsaken the chicken God so much! My god, I offer you the corpse of a poodle, I beg of you to accept me back! Was there a typo there? How many chapters does arc 4 have? just asking since you guys are doing this translation for free, would u get a dmca from the orginal creators and publishers, and get shut down? This is a translation of the free Web Novel, not the licensed Light Novel. LN are the printed paper books with illustrations. It is an edited and condensed release of the free to read WN. So i think this arc has almost 130 chapters at which one peatrice become subaru’s familiar? u know i feel really sad for chicken who needs to read your spoilers and delete them, as he doesnt know what will happen in the future (of this novel) too, such disrespect few ppl bring here it makes me angry. thank you so much guys !! i want more!! more!! Thank you for your translations. It is great! Keep up the great work guys i really hope that the chicken god will always be there and help us (the illiterates😅)to understand re:zero. So, the Next Place is Sanctuary, heh… I sense more death. Hey Chicken Sama, thanks for the great chapter as always! There are spoilers from the wiki, I’ll try to remove them whenever I see any in the comments. Some are just people’s theories so those are ok.
Watch episode 15 of fullmetal alchemist brotherhood and pause at 20:47 you will notice something interesting. Better hope it isn’t Monday when they see him. The sentence “How long has she’s been shut-in” does not make sense. The “‘s” is a typo. Went and fixed it! Thank you vey much for translations! I am checking your site every day with great excitement! There is no more? How the heck have I caught up already!? Awesome work! I’m glad I found it. Thank you as always for your hard work. Wish you all the best and your quick recovery! See you next chapter! Thank you so much! have such a clean website to read these translations is a godsend! Hahaha, I will try wake up early tomorrow and see how much I can get done before work! If Fedrica knew where the sanctuary is, why bother looking for Beatrice for the location of the sanctuary? I don’t understand this line, since Im not a native English speaker. Can you explain it please Chicken-san? Subaru is teasing Emilia. He’s savoring seeing Emilia getting confused by what he said. And there we are… Garfiel and the sanctuary. Heard of them a little bit while I was trying to avoid spoilers! I’m so interested!! Thanks for the amazing work.